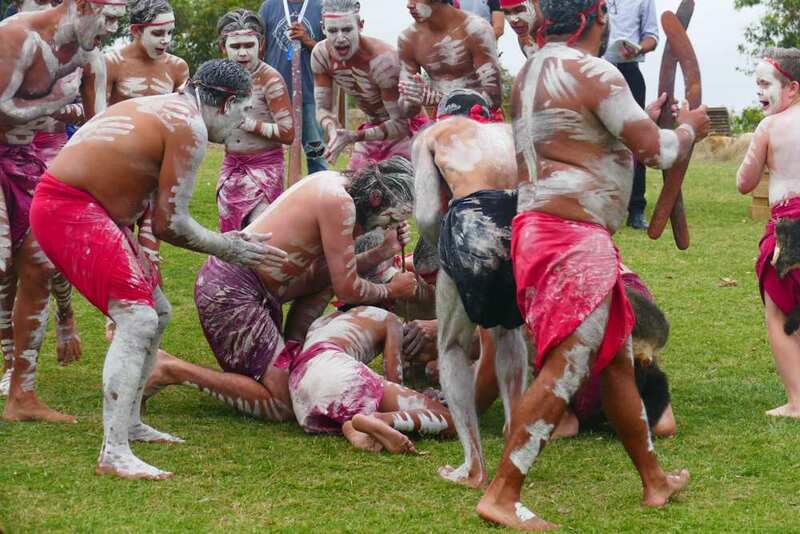 This date is not when Australia was discovered, the Aboriginal peoples did that, then long afterwards Macassan fishing fleets regularly visited Arnhem Land, then the Portuguese and the Dutch found the place. It is not the date Ln. 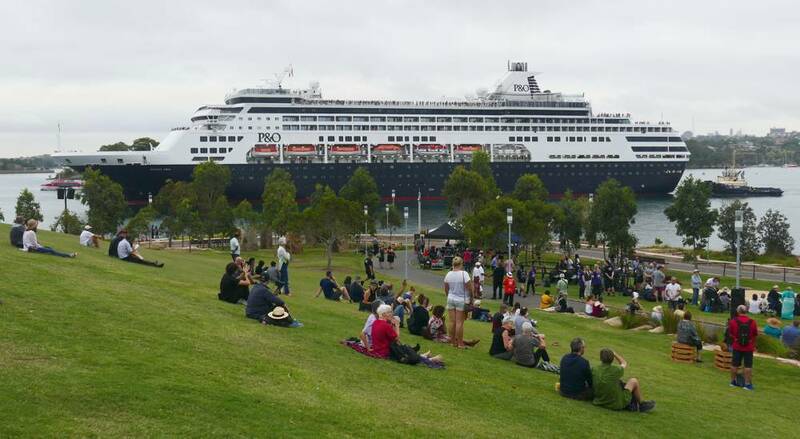 Cook landed in Botany, nor the date The First Fleet landed in Botany Bay. 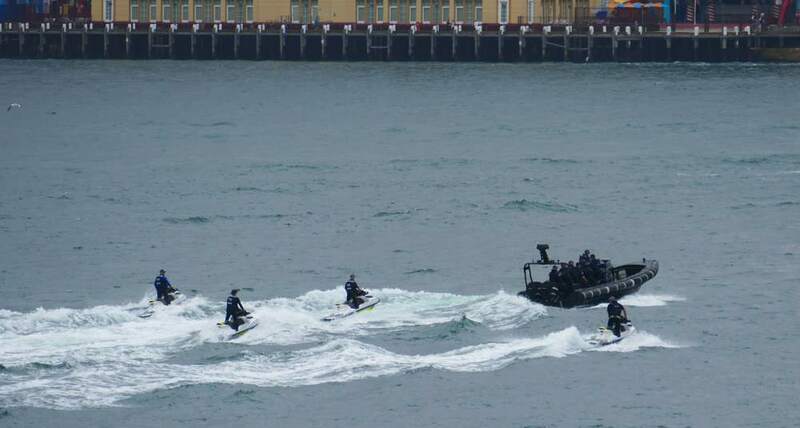 The 1938 celebrations re-enacted the landing of Captain Arthur Phillip. 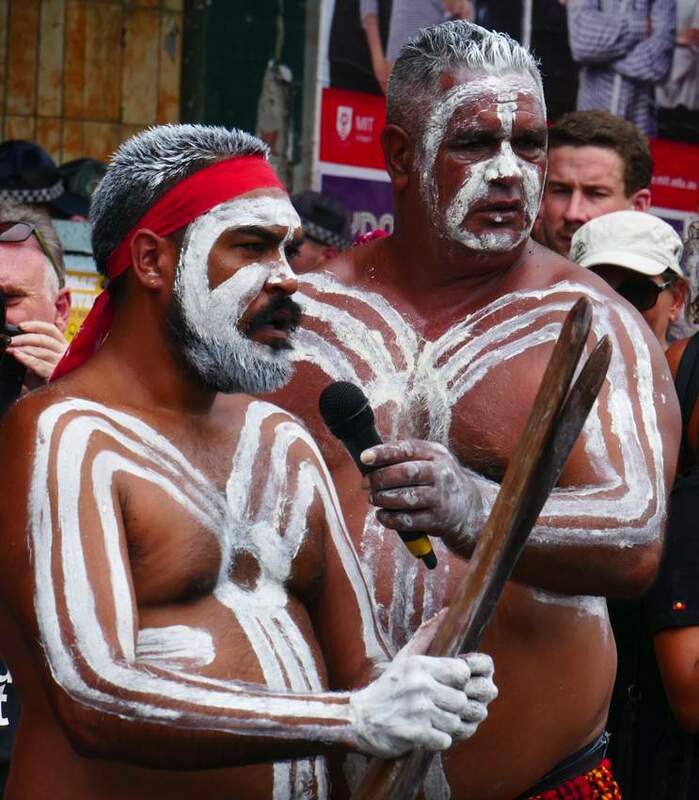 ‘Aboriginal people living in Sydney refused to take part so organisers brought in men from Menindee, in western New South Wales, and kept them locked up at the Redfern Police Barracks stables until the re-enactment took place. On the day itself, they were made to run up the beach away from the British.’ (National Museum of Australia). 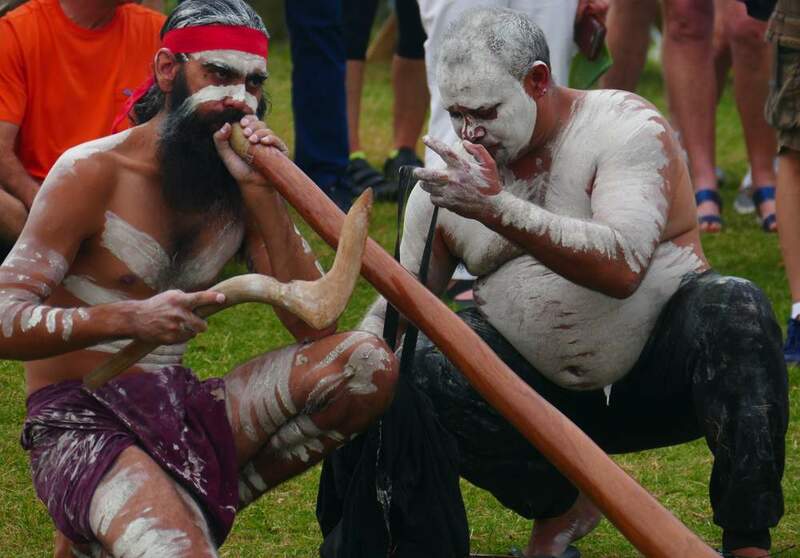 I was down at Barangaroo Reserve early for WugulOra morning ceremony, hoping to see the fire leave Me-mel (Goat Island). 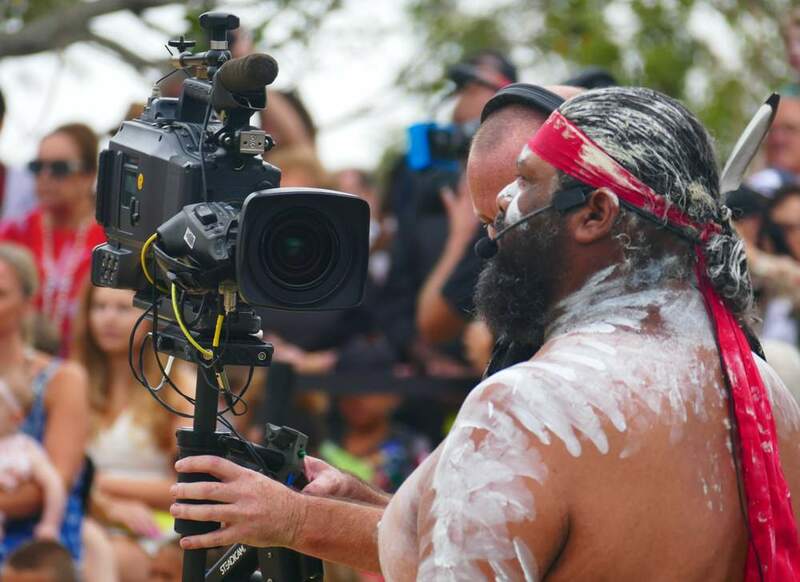 I was distracted by singing behind me, the Koomurri Aboriginal Dance Troupe were creating their own fire, singing and dancing to encourage the spark. 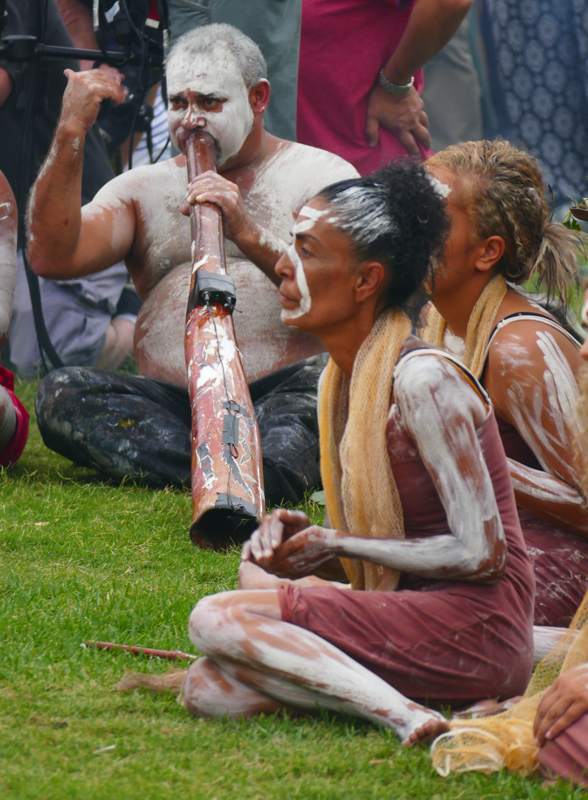 Smoking ceremonies are an ancient custom among Aboriginal Australians in which native plants are burnt to produce smoke to ward off bad spirits, acknowledge ancestors and pay respect to the land and sea of country. The smoke is believed to have healing and cleansing properties. 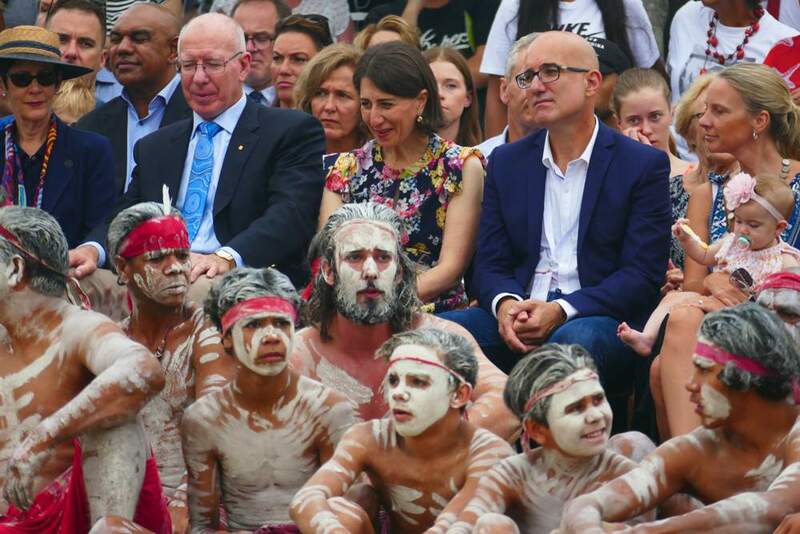 NSW Governor David Hurley spoke from the heart. 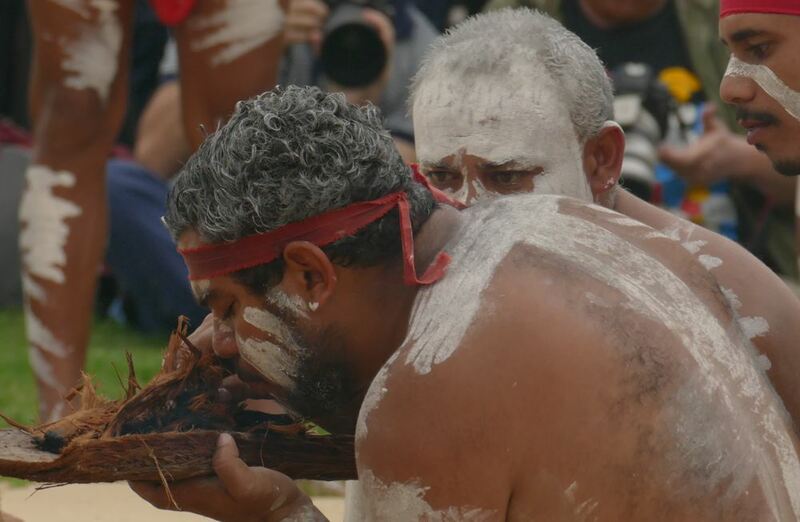 ‘I acknowledge that we stand on Gadigal land and I pay my respects to the Gadigal People of the Eora Nation, the traditional owners, and their Elders, past and present. I also acknowledge our young people whose voices are so important to the future of our nation. 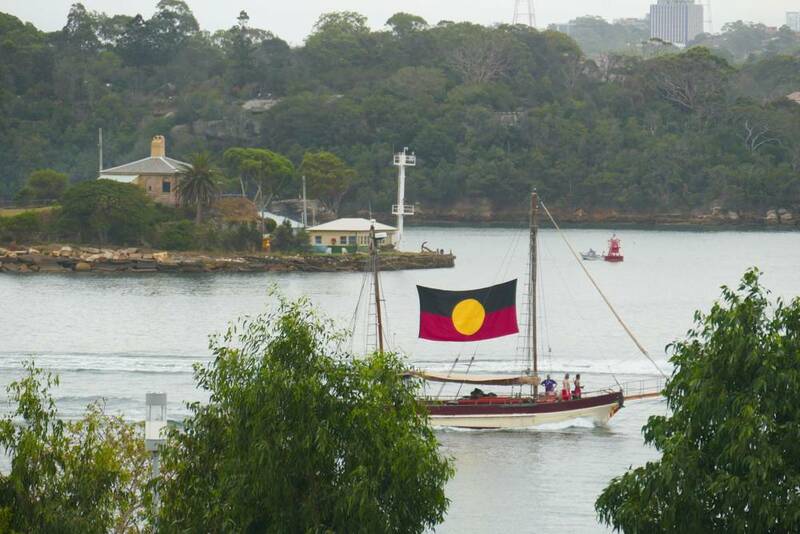 Here within this beautiful harbour-side Barangaroo Reserve, named after one of the strongest of Aboriginal women, we celebrate the world’s oldest surviving and living culture . 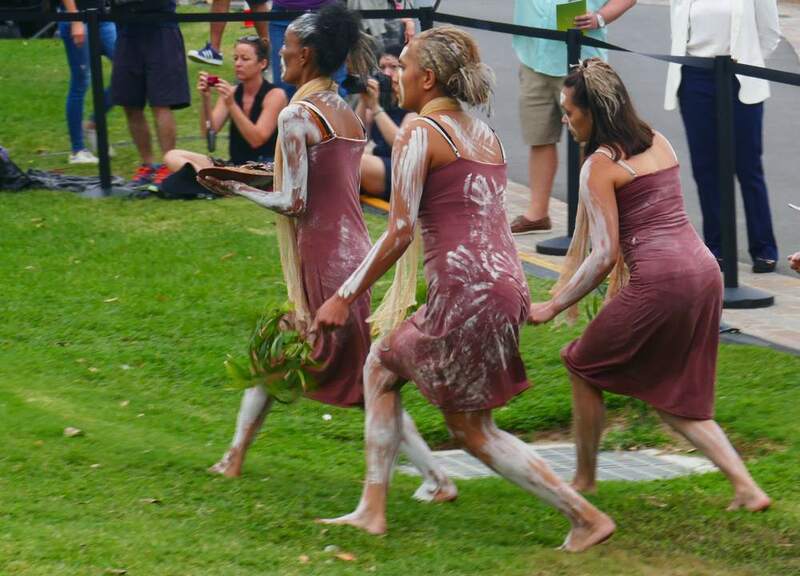 . . Barangaroo’s history reminds us of the past struggles and achievements of Aboriginal leaders and ancestors and, thereby, of the example of courage and determination that will help us to work towards a brighter and positive future. 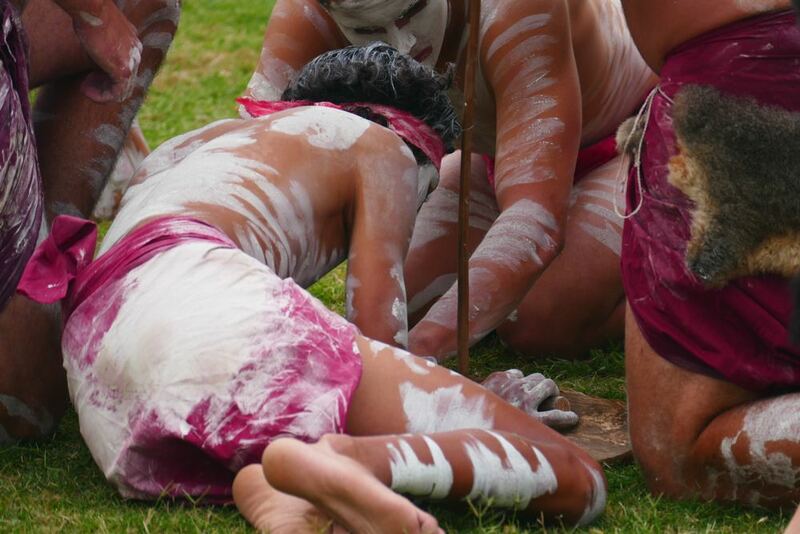 This is a shared journey, a journey of four parts: ‘Acknowledge, apologise, reconcile and build’. 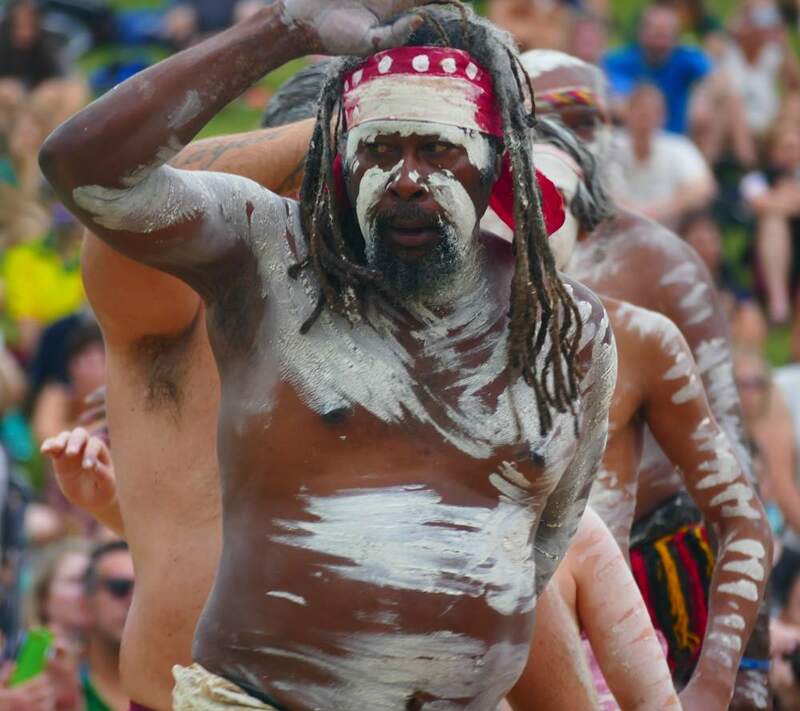 We, Indigenous and non-Indigenous Australians, share a love for this land. The roots and expression of that love may be different but we must use this common feeling as one of the drivers of reconciliation. 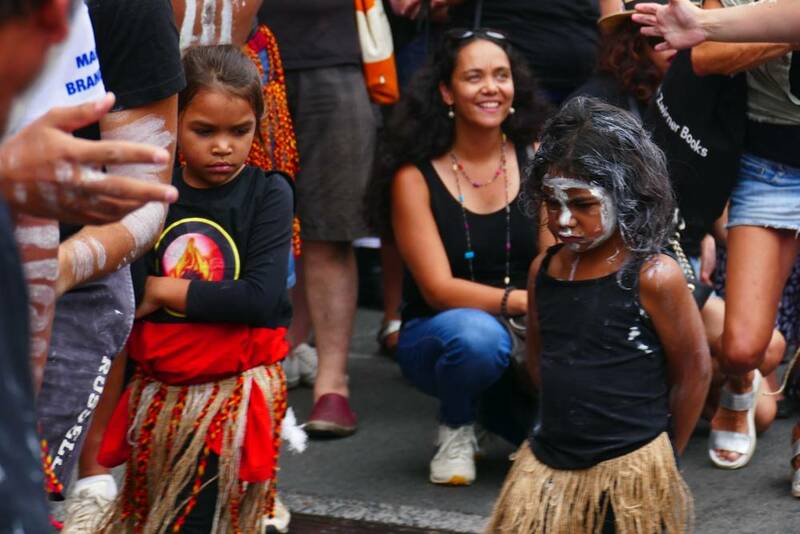 We have the opportunity, now, to write a different story, to acknowledge past events and to use that growing understanding to energise us and thus empower this, and the next generation of young Indigenous and non-Indigenous Australians. The story of your people, your ‘country’, pre-dates dispossession – like this land, your story of survival is strong, proud and inspiring. 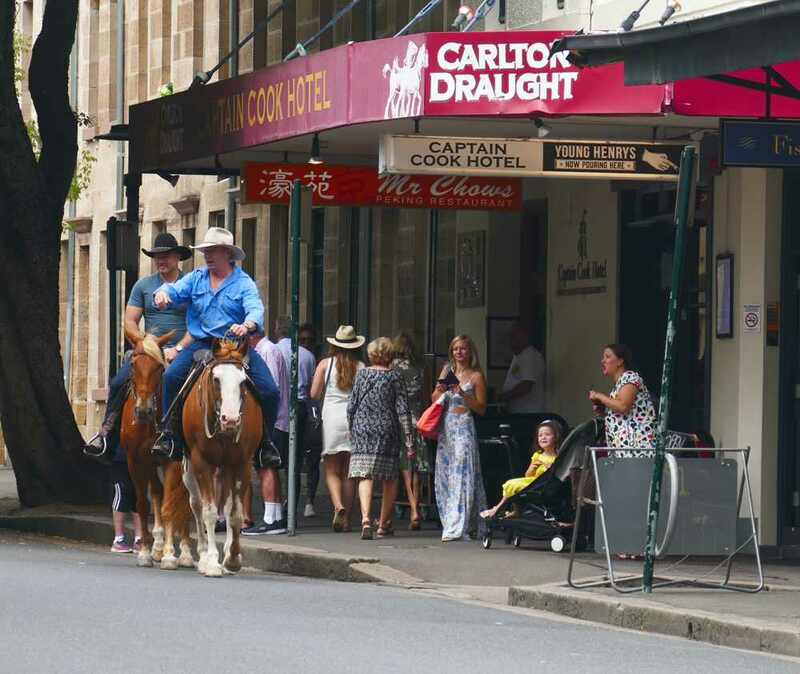 Then the NSW Premier Gladys Berejiklian spoke. Another good speech, recognising that all Australians need to work towards continuous reconciliation, and that we each are responsible in making the country a better place for everyone and future generations. 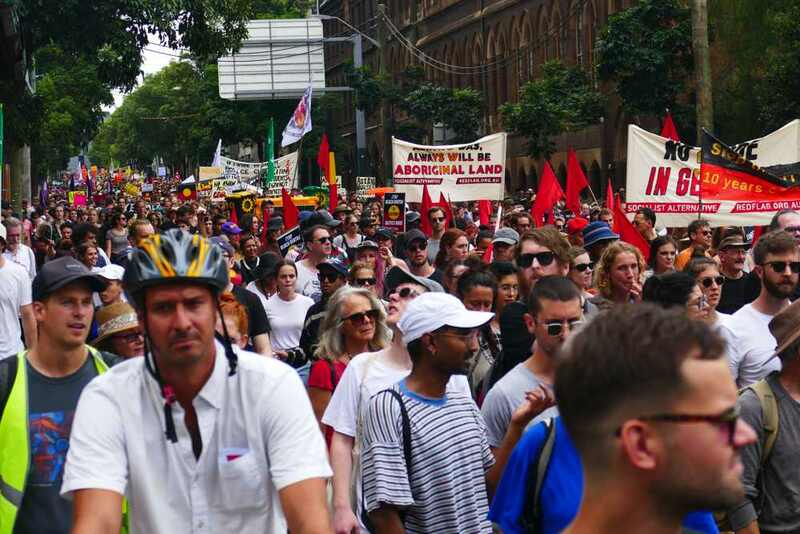 But how many speeches will end endemic racism and disadvantages Aboriginal Australia faces? We should change the date.